That’s the identification offered by Red (Lupita Nyong’o) to her inquisitive and terrified doppelgänger Adelaide, the former appearing at the latter’s summer home with bulging eyes, a voice she has not used in decades, and a profound anger. 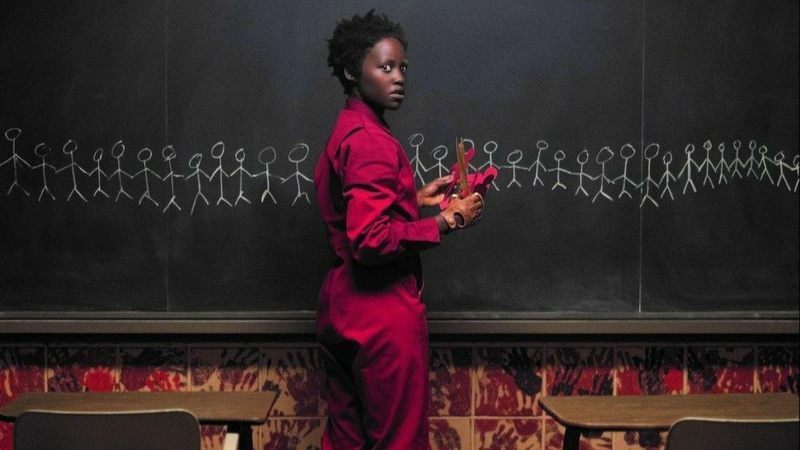 As Red sits with her own family, which look like a bizarro version of Adelaide’s, she wields her weapon of severance—a pair of golden scissors—and clues viewers into the execution event at the center of Jordan Peele’s “Us.” As we learn about the purpose of The Untethering, and where Red truly came from, “Us” becomes an American nightmare about our divisive selves taking over. That very line of dialogue could have been an alternate title for Peele’s sophomore film, but it speaks to something that’s very pertinent about “Us” across its many interpretations. Aside from the plethora of pop culture references—Hollywood films, American punk bands, Luniz’s “I Got Five On It”—there’s something strictly American about “Us.” Within Peele’s premise the idea that inside of every American in 2019, whatever you believe in, is a sense of resentment. Peele’s screenplay is more literal, imagining that with the thousands of miles of abandoned tunnels and passageways mentioned in the credits, all Americans have a hateful version of themselves under the surface. As a filmmaker whose imagination feeds equally off symmetry and open interpretations, the bookending shots of “Us” tell the whole story. There are many pop culture references in the movie, but the most important is front and center in the first shot. Surrounded by VHS copies of “C.H.U.D.” and “A Nightmare on Elm Street,” a TV plays an ad for Hands Across America. It speaks of the true event in 1986, in which millions of “Good Samaritans” would hold hands and “tether” themselves across the country, in an effort to fight homelessness and to show a sense of unity. The reference is an excellent deep cut from Peele, in part because Hands Across America failed, such an act then buried and forgotten within American pop culture. Peele makes a doppelgänger for Hands Across America in his last shot, the scariest image in the entire film. After killing their above-ground selves, tethered individuals get in line and join hands, peacefully. United they stand across rolling hills, a silent majority in MAGA hat-red jumpsuits. This is Peele’s version of an apocalypse, and one of the most disturbing images post-2016 about the expansiveness of hatred that prevails over America. For a movie that’s initially about the fear of recognizing your immediate selves, the meaning behind the tethered is a true Rorschach test (with reference to the film’s teaser poster) that’s open to many interpretations. Maybe to you it’s obviously about class, or the underprivileged, or the impact different generations, or our nation’s overall history. But in my eyes, the film’s final twist, about the switched lives of the two young girls, is the most revealing. The final act of “Us” presents a life of subsisting on purely those feelings, and we then witness such an unnatural, disturbing way of existence become weaponized and organized. Peele’s last twist has an incisive quality that’s incredibly emotionally abrasive—the loss of compassion for our main hero Adelaide, slamming next to a new understanding of the immense pain Red has inside of her. Peele then blows up that sense of tragedy on a massive visual scale, juxtaposing those life stories with an overwhelming spectacle of hate. 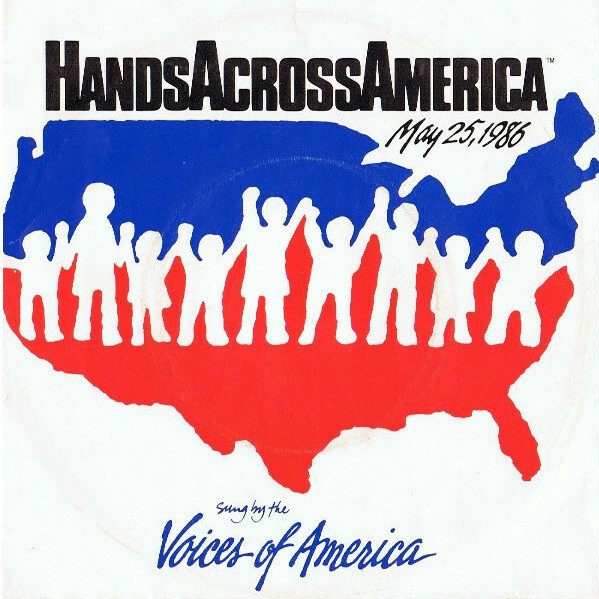 “Us” argues, if not proves, that Hands Across America could only be achieved nowadays by values that are antithetical to love.